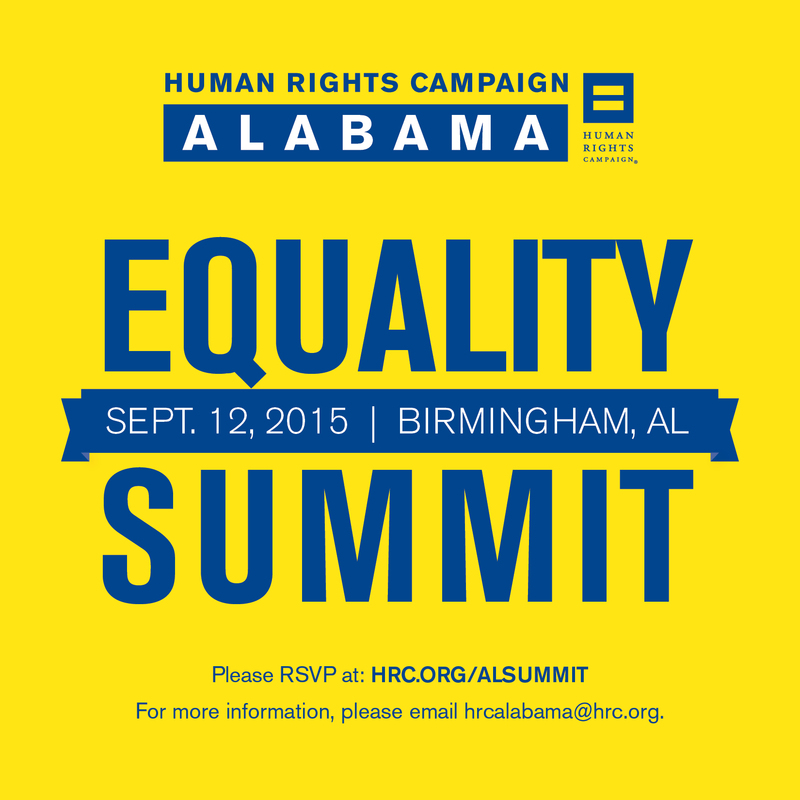 The Alabama chapter of the Human Rights Campaign will be hosting its first statewide Equality Summit in Birmingham, Alabama. HRC members and supporters from across the state will gather for an all day workshop on community building and advocacy training on issues impacting the lesbian, gay, bisexual and transgender (LGBT) community. Although we have seen some incredible victories over the past few months, there is still a lot of work to be done! In order to ensure that all LGBT Alabamians are treated fairly, it’s vital we all work together towards electing pro-LGBT candidates, creating communities that are safe for everyone, and ensuring institutions such as hospitals, schools and places of worship are fully-inclusive. At HRC Alabama, we know that to make positive long-term change we must work locally, with dedicated community members and leaders like you who care about equality. That is why we are inviting you to attend HRC Alabama’s first statewide Equality Summit, a one-day community-building and advocacy training for HRC Alabama members and supporters, and other LGBTQ and allied advocates. At this summit we will continue building our base and empowering volunteer leadership across the state through strong relationships and training. Please RSVP here to attend this day-long event. 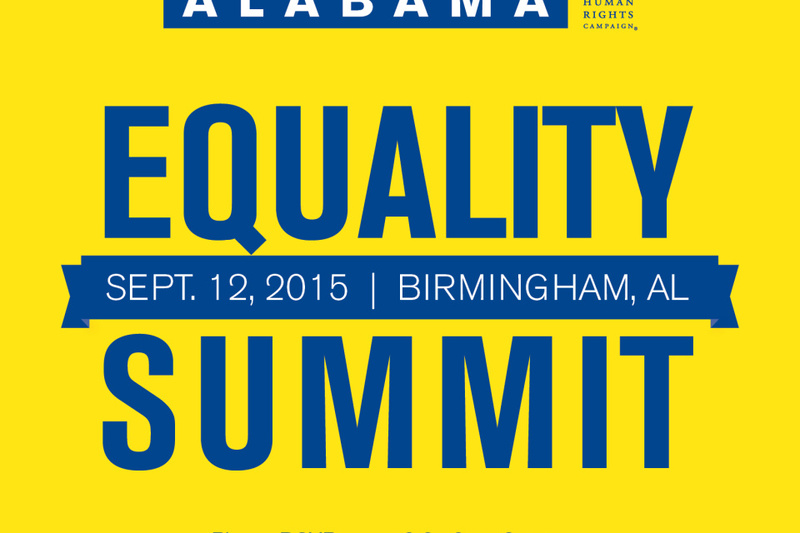 The summit will be followed by an evening reception where volunteers will have the opportunity to continue to network and share their ideas for creating a fair and equal Alabama.